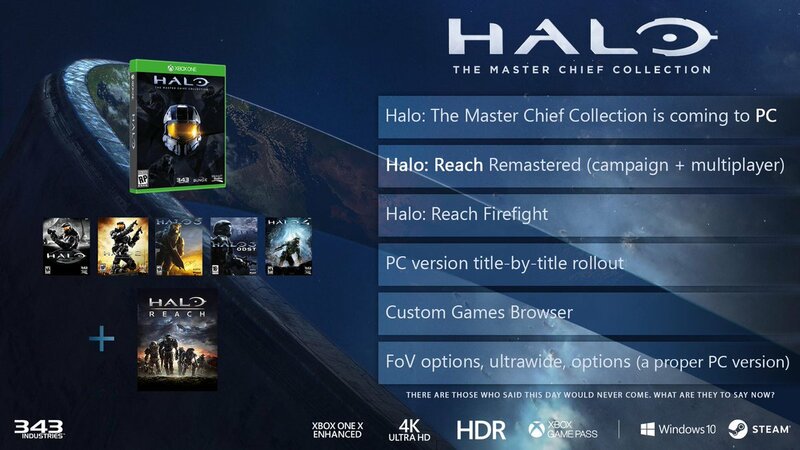 Microsoft announced this morning that Halo Master Chief Collection is coming to the PC. Steam and Windows Store. The release schedule is set for a staggered release meaning all the games in the collection wont be released all at the once. The release schedule begins later this year with Halo Reach. Never got into Halo.... played the first one and finished it but thought it was quite repetitive. Really sad how the Halo franchise went. Halo 1 was amazing, I recall playing this for hours and hours on XboX as a kid. The level design was epic, the ability to drive and fly machines was also quite new to us and was implemented well. It was a run and gun and you should make it to the end if you have a good enough aim style of game, it did still have a bit of a back story and lore involved which captured some interest. I didn't play much Halo 2, I bought an Xbox 360 when they came out with Halo 3 and just ended up getting pissed as heck with the stupid "Flood"..
After getting to a level where you are in a ship fighting the flood for about an hour you come to a window and see a big desert/valley or what ever and more flood ans I just turned it off and never played it since. All the Halo games after just looked terrible. There was a command a conquer Halo or what ever? Halo Wars?? Halo ODST you were no longer master chief or what ever..
Had potential off of the first game but they just went full cashgrab fail.